H.G. Wells was a master storyteller. He wrote science fiction greats like War of the Worlds and The Time Machine. What most people don’t know, however, is that he also created games. Games of imagination poured from his pen the same as any fiction. They were games that he played with his kids, games that he played with his friends, and games that he became so involved with that he drafted his children’s toys and banished his wife and her friends from entering the room so as not to disturb it. One of these games was called, Little Wars. 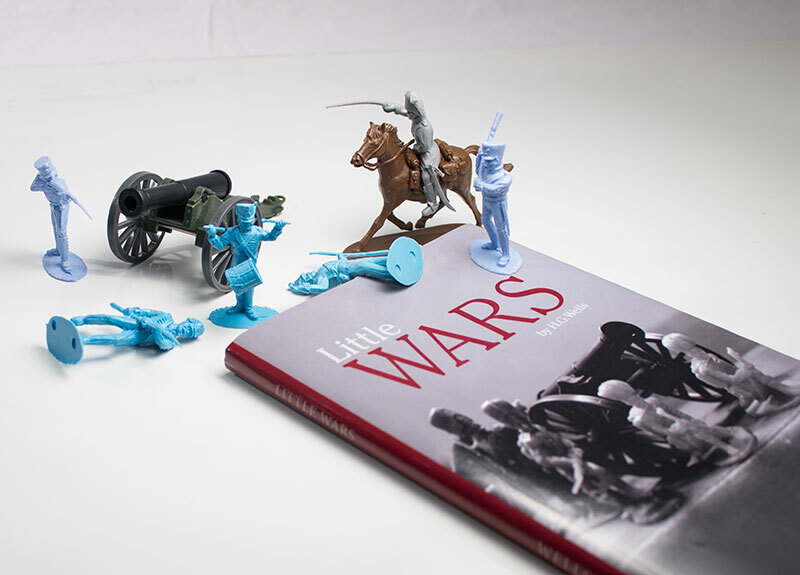 The full title is: “Little Wars; a game for boys from twelve years of age to one hundred and fifty and for that more intelligent sort of girl who likes boys’ games and books.” Ignoring how insulting this title is to girls, I hunted down a digital copy and read it. It was quaint, charming and absolutely fantastic. It outlined a game that H.G. 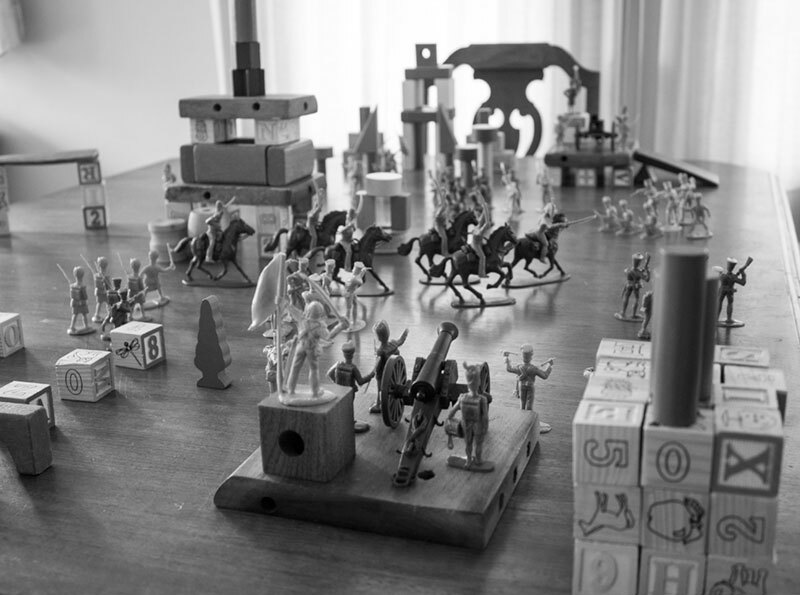 Wells had made with the help of some friends to play out wars in miniature using his children’s toys. 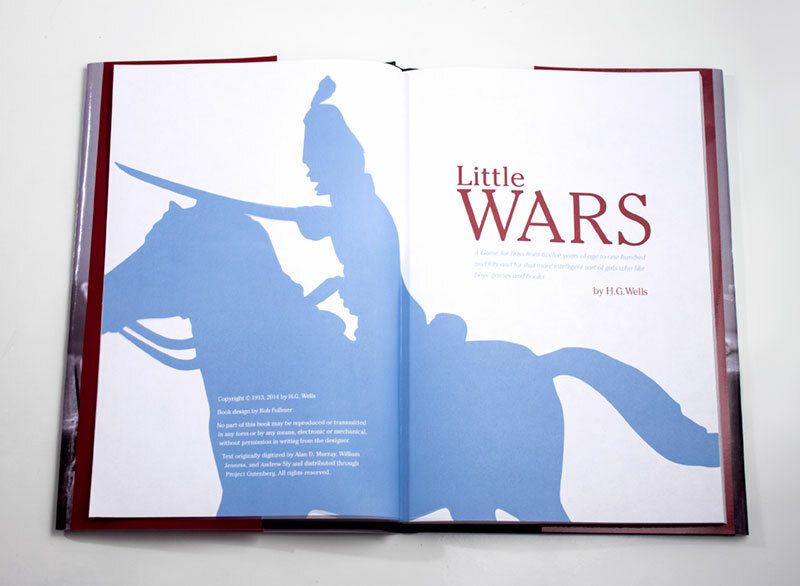 In the book were not only rules, but riveting accounts of battles replayed for our entertainment. The book was a classic, pure and simple. But, when I tried to find a physical copy, I was completely lost. The book just simply couldn’t be found. I dug through any used book store I came to and still, no copies. I decided that it was up to me to give this book new life. My design reflects a modern interpretation of the early 1900s publications and the colors stuck close to faded french and american toy soldiers. 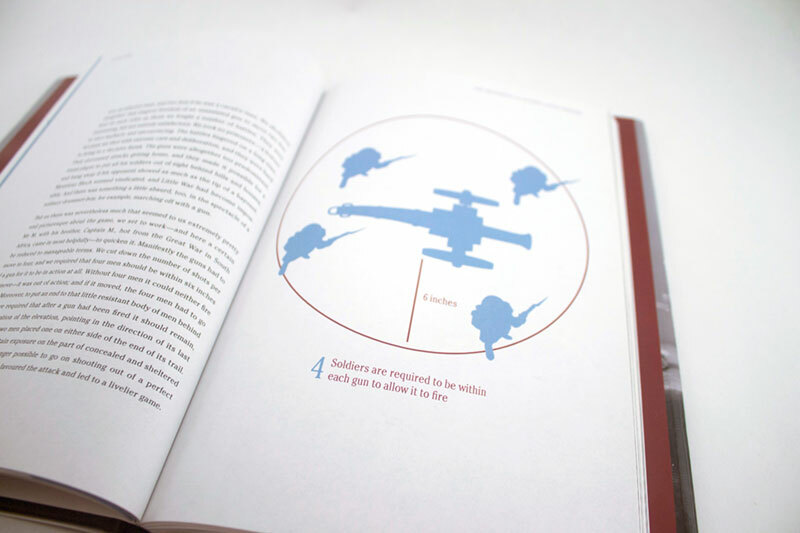 All of the original illustrations, though charming, did little to help explain the rules. Instead, silhouettes of the soldiers took their place. Modern photography joined with the original photography and a few appendixes from one of H.G. Wells’ other books were added to help really flesh-out the game. Although not available for print, the finished ebook is regularly read and collected online.